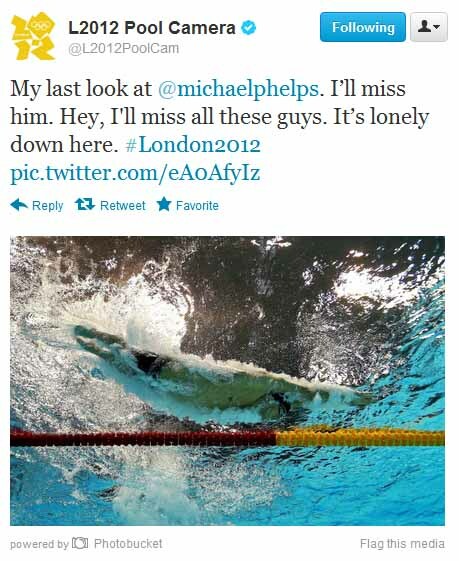 My favorite Twitter account, @L2012 Pool Camera. 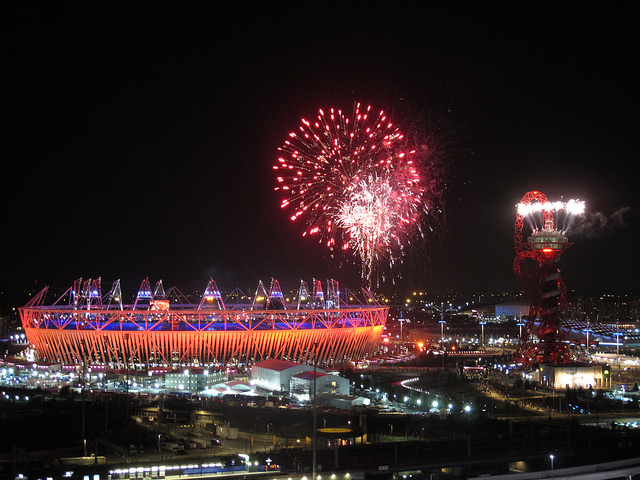 The London 2012 closing ceremony did not skimp on fireworks. It all started in college. My freshman year was the first time I&apos;d ever had Wi-Fi. This coincided with a slowly fading obsession with the television show Grey&apos;s Anatomy and the decision by ABC executives to start streaming their content. The show was on on Thursday evenings, and if someone was using the dorm lounge to play video games — a likely story — Friday afternoon you&apos;d find me curled up in my bed, snow coming down outside, as I snacked and watched doctors get themselves into personal and professional trouble. It&apos;s pure coincidence that my ability to watch television on my computer came at the same time as I moved away from home and lost anytime access to cable television, but it certainly signaled a subconscious shift to me. I could increasingly watch whatever I wanted, whenever I wanted, as more and more networks made this a legal viability, and let&apos;s face it, more and more amateur websites made it possible for this to be done illegally, and easily. Forget a car of my own — this was freedom. I&apos;ve never been one to lament how media changes because of technological advancements (or how those same changes are "ruining journalism"); my argument is always, well, this is happening, and honestly, it&apos;ll make us more creative and more interesting people in the long run. 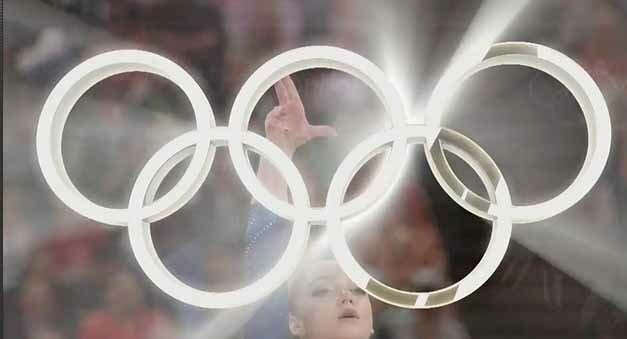 But it was this Olympics cycle when the true meaning of what we&apos;ve gained and lost in this transition became readily apparent. Right before the London Olympics began, one of my roommates moved out and took the television with her. My other roommates and I neglected to renew our cable subscription. But then the Olympics were coming up and I started to panic. How would I watch the most important example of human physical perfection of any time, ever? I did my research. Once I realized I could use my mother&apos;s cable login and stream all events live on my computer, I figured I was good. We could invest in a projector! Not only would it be sweet for this particular set of weeks, it&apos;d be good for parties or movie screenings or whatever. Of course, a good projector is going to set you back about $600, if you get it on a deal. Plus every time a bulb goes out, that&apos;s another couple hundred dollars to replace it. I couldn&apos;t commit to this purchase and handle the idea of becoming a "projector person." My roommate&apos;s uncle ended up gifting us a TV, but we didn&apos;t get it until the Olympics were almost over. And then another realization dawned on me: Because of the time difference, anything I wanted to watch streaming would be happening during the day, when I was at work anyway. I wouldn&apos;t be able to watch the primetime broadcast in all its glory — though as we&apos;ve learned, the livestream vs. primetime struggle has been one that many have harped over. I accepted this new reality and even got really into it, becoming almost an in-house expert on the Olympics for these last few weeks. But what surprised me the most was how, even at my office (where our job is to follow news and know what&apos;s going on) people didn&apos;t want the Olympics spoiled for them. My coworkers hated seeing breaking news spoiled on Twitter or Facebook, and one even said, "I don&apos;t get it; why does the New York Times tweet these results as &apos;Breaking News&apos;? They wouldn&apos;t do that if the Cubs won a game." To which another coworker snapped, "They would if the Cubs won." This frustrated me. This is the time we live in. Twitter exists. We can&apos;t sit around to family bond with our TV dinners at night without actively ignoring our cultural present. That doesn&apos;t mean people didn&apos;t do just that — and enjoy it — but there&apos;s always a bit of (at least for me) acknowledgement that we know more than we&apos;re letting on. You know what&apos;s going to happen. There&apos;s less mystery. Which makes sense; there&apos;s a little less mystery in our lives in general these days. I also can&apos;t tell if it&apos;s a coincedence that all of this happened at a time when I&apos;m on my own. I&apos;m not watching with my family; my life is more scattered. It makes sense that this is how my viewing happens as well. But the emotion is still there. Watching the recap moments on NBC before Sunday&apos;s closing ceremonies (which yes, I did watch in primetime, despite the surprising option to watch live), tears formed in my eyes as I rewatched memories from the past two weeks. I&apos;ve seen them, I&apos;ve read about them, and yeah, now they&apos;re set to music, but it&apos;s the moment that matters. Hopefully, as the technology keeps changing, that won&apos;t.